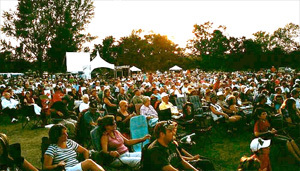 The Carleton Place Riverside Jam is an annual event going on it’s 8th year (2011). Located in the beautiful Riverside Park on the Mississippi River in downtown Carleton Place. Presenting some of the best entertainment Country Music has to offer, this event also features many beautiful camping sites, food & craft concessions, a midway and a licensed refreshment area. Make plans now to join us in beautiful Carleton Place. The Riverside Jam Ticket Booth closes at 10:00pm nightly. Only those with weekend or appropriate daypass bracelets will be allowed entry after this time. The Riverside Jam Refreshment Tent closes at 11:00pm nightly.